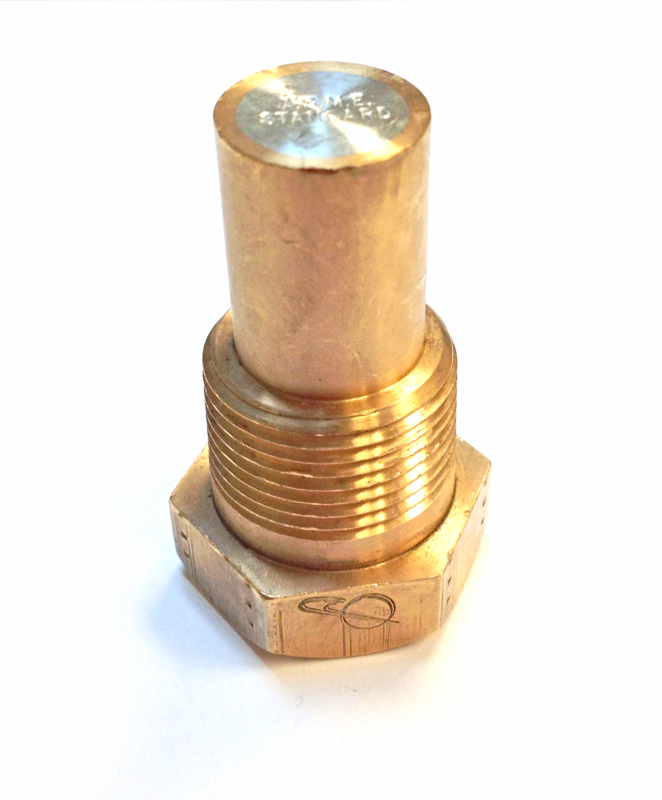 Fireside Fusible Plug Model 28-403 conforms to ASME standards, with maximum pressure of 250 lbs. Fire-activated fusible plugs are filled with pure tin and feature a melting point between 445°F and 450°F. 28-400. A fusible plug operates as a safety valve when dangerous temperatures, rather than dangerous pressures, are reached in a closed vessel. In steam engines, the fusible plug is screwed into the crown sheet (the top plate) of the firebox, typically extending about an inch (25mm) into the water space above. Its purpose is to act as a last-resort safety device in the event of the water level falling dangerously low: when the top of the plug is out of the water it overheats, the low-melting-point core melts away and the resulting noisy release of steam into the firebox serves to warn the operators of the danger before the top of the firebox itself runs completely dry, which could result in catastrophic failure of the boiler.